Sylvie is amazing – period! For 50 years, she has been star, not only in France but also around the world. She easily adapts to any current musical trend, she has made an incredible amount of records, her legs is in the legendary league with Marlene Dietrich, Betty Grable and Angie Dickinson, she has the face of an Ivory goddess – above all she is blessed with talent – the kind that comes only once in a lifetime! To sum up everything Sylvie Vartan has done through her long and magnificent career is impossible, but I will take you through a closer look at some of her albums and hopefully prove that Sylvie is one of the most important artists to come out of Europe in the last century! Although she is always considered a French singer, Sylvie Vartanian was born on August 15 1944 in Iskretz, Bulgaria to a Hungarian mother and an Armenian/French father. For the first eight years of her life, Sylvie lived in Sofia, Bulgaria – moving with her family to Paris, France in 1952. 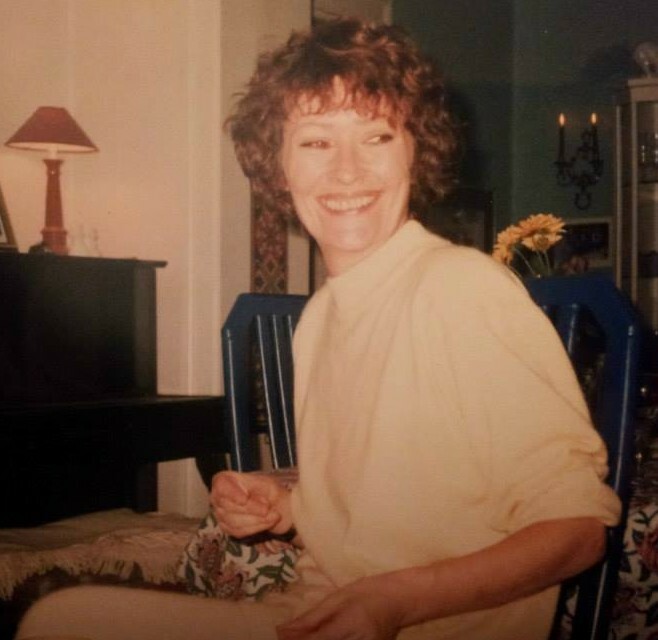 The family lived in a single hotel room for four years while carving out a living for themselves, even the young Sylvie had to work hard, all the while learning French…. So her first years in her new homeland was not very glamorous, and certainly light years away from her later life. 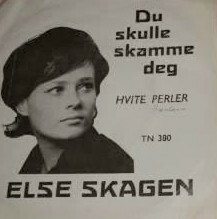 In 1960, her brother Eddie worked as a record producer and Sylvie was also very interested in music. Jazz was her first love, but just to rebel against her strict high school, rock ‘n’ roll was also something Sylvie listened to, Brenda Lee being a favorite! In 1961, Eddie was looking for a young girl to duet with French rocker Frankie Jordan, on the track “Panne D’essence” – he chose his sister. The song was a hit, and Sylvie got to appear on television for the first time. Later in 1961, she signed a contract with RCA records – and she stayed with that company for 25 years, achieving status as the labels biggest selling female singer and second best selling singer overall, beat only by Elvis Presley. Her first big solo hit was “Quand le film est triste” – and from that point on, she started on her never-ending rise to superstardom, and a musical career that is unequalled to anyone else! Sylvie was initially billed as the “twisting schoolgirl”, and in the early 60’s she often recorded French versions of current pop and rock hits, then later in the 60’s she recorded a lot more original songs, and turning into a more adult performer. If you played all of her records back to back, you’d hear a singer in constant development. 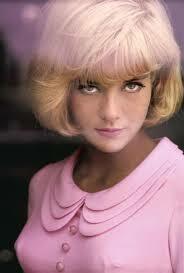 The very young Sylvie who sang “Le Locomotion” is miles away from i.e. the late 1960’s “La Maritza”. She easily took on both new and older material, and performed a typical current hit like “Le jour qui vent” as naturally as she did songs associated with Edith Piaf (“Hymne a l’amour”) or Jacques Brel (“Ne me quitte pas”), with the same intensity and soulful approach. With each new Sylvie album, you’d never know what to expect; she chose great cover songs and a lot of exciting new material. In the early 70’s she was one of the first French artists to do country songs, putting her own personal stamp on hits by Tanya Tucker, Lynn Anderson and Olivia Newton-John. Always exciting, and eternally surprising – within one year she sang (in English) an early “almost-disco” version of “Love is blue” and a semi-classical piece based on a Mozart Symphony, “Caro Mozart” (sung in Italian)! 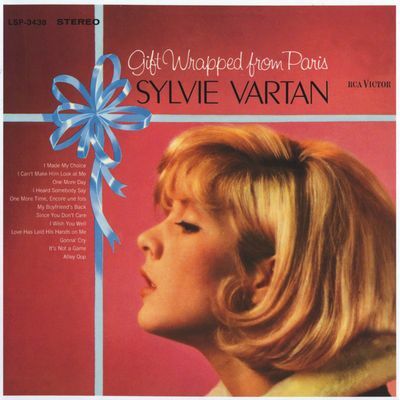 The almost schizophrenic approach to releasing albums had started even in the early 60’s: her 1964 album “Sylvie A Nashville” found her singing in French (and it’s not really a country album), while 1965s “Gift Wrapped From Paris” found her singing entirely in English, one track being the Angels recent no. 1 hit “My boyfriend’s back”….. Besides doing a wide range of different material, and singing in different languages – there is also the aspect of the Vartan voice, which is very flexible, and can be shaped and moulded to fit any kind of musical arrangements. She can sound sweet and intimate one moment, then she roughs up her vocals the next – and makes it sound a little more ragged for singing rock. But she still sounds like Sylvie all the time! Some examples of her different ways of singing: “La plus belle pour aller danser” (1964) (sweet & girlish), “I’m watching you” (1963) (rough & a little strained even), “La Maritza” (1968) (a heartfelt, folkish kind of song), “I don’t want the night to end” (1979) (an almost seven minute disco track), “I saw Mary” (1985) (a synth & guitar heavy rock song), “Dernier acte” (1992) (another rock track, very current – sung in French), “Ruby Tuesday” (2007) (a great version of the old Stones song). 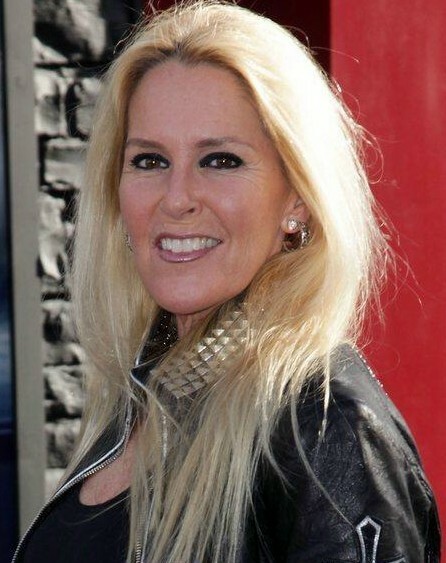 She released more than 40 albums for RCA during the 25 years she was signed to that label, and another 15 or so during the last 25 years, the latest being the great 2011 album “Soleil Bleu”. So there is quite a lot of records to listen to, and I would highly recommend any and all of them! From the “Soleil Bleu” cover photo sessions; Sylvie at age 66 has both looks and talent still in place! 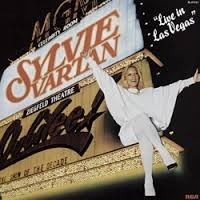 With an introduction by Gene Kelly, Sylvie gives Las Vegas the show of her life! Like a lot of other legendary singers, all of Sylvie’s catalogue is still on the market, so any original album you want is possible to get. 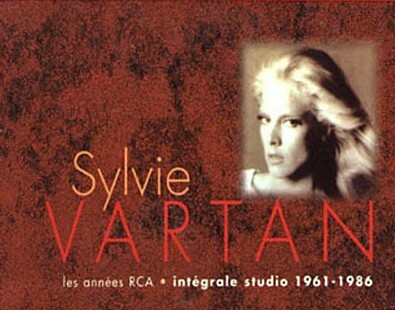 There are dozens of collections of course – some of her material has been repackaged several times for a lot of different “best of” CDs that vary in quality and content… However, RCA has done a marvellous job with their Sylvie collections: the first time around, they put together all of her best songs into the box set “Les Annees RCA – L’intgrale Studio 1961-86”, a 21 CD set of the best tracks from all her studio albums recorded for RCA. How do you top this box? Well, RCA did it themselves when they released their next big Sylvie box a few years ago: gathering up absolutely every one of her RCA albums, both live and studio produced the totally stunning 41 CD Box set pictured below. It does cost money, but not only do you get a total view of the first 25 years of the career of Europe’s most important female singer – it is also a great portrait of the evolution of pop music in Europe. And all of it performed by a great artist, putting her personal stamp on several hundred great songs! This 41 CD Box Set collects her entire recorded output 1961-86! 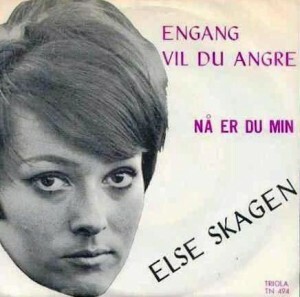 The albums are packaged as mini LPs, with their original cover art. It also includes a thorough little book, summing up her career and listing all the contents of all the original albums, as well as the many bonus tracks added to most of them. I could go on and on about Sylvie, but I will end this post by once again stating the importance of what she has done musically through the last 50 years. 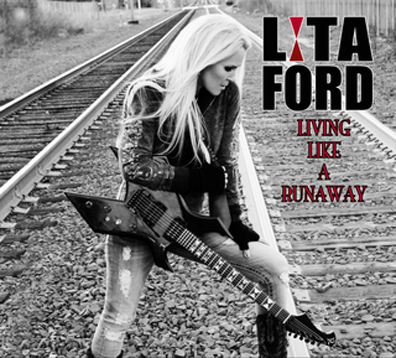 Her fabulous voice, her excellent choice of songs (both originals and covers), her way of putting it all across to the listeners. She is talent personified, she is unique in the history of popular music and she most definitely is the brightest shining star in the European musical universe – yesterday, today and forever!